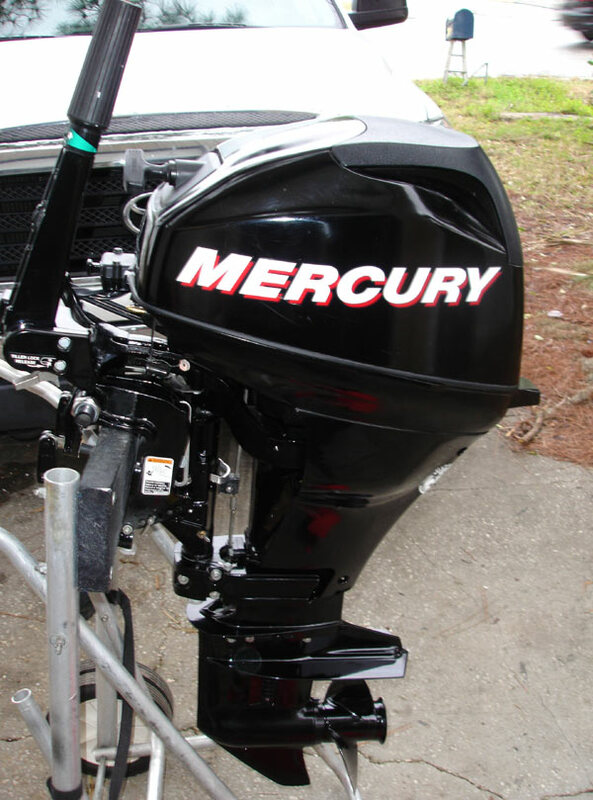 Specializing in small (kicker / portable), new and used outboard boat motors. 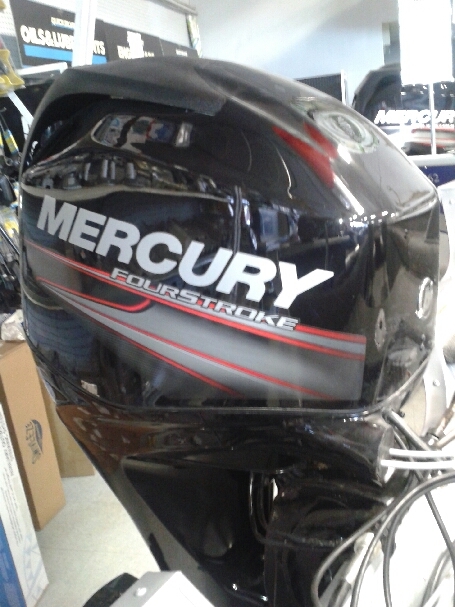 4 Stroke Outboards, All with warranty . 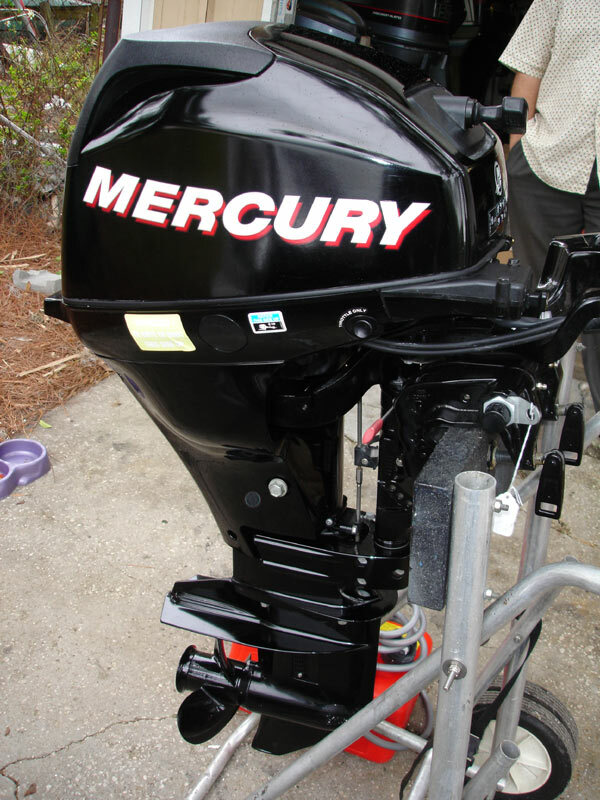 Mercury "Fish Camp" Outboards are motors that were leased to fishing and boating resorts throughout Canada. 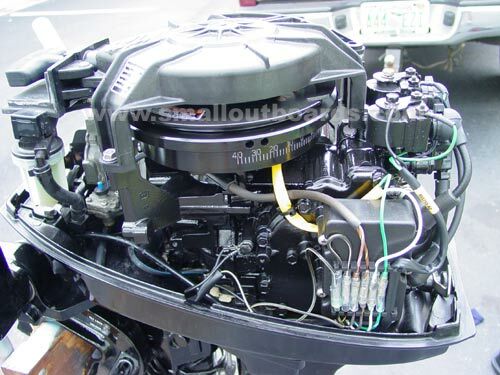 All motors (under 60 hp) were maintained, and used exclusively in freshwater. These engines were used for one season then returned to the Mercury dealer/distributor. Upon being put back up for sale, these engines were thoroughly inspected. Anything that needed repair/replacing was taken care of. 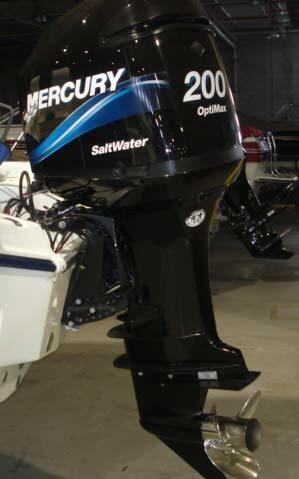 Since 2001 we have sold over 2000 of these motors and our customers have been overwhelmingly pleased with the condition of these outboards. 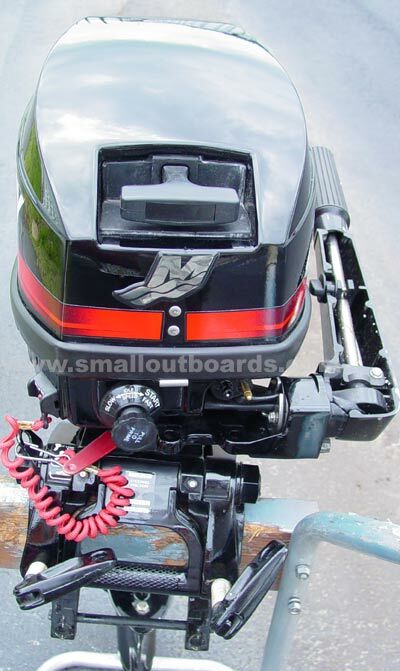 We have had many testimonials claiming that these motors are as pristine as brand new engines. They come in the original Mercury Outboard box. While these are used motors and may show some signs of usage, these are not beat-up, severely scratched, or abused. If they don't pass inspection they are not re-sold. These engines provide a viable alternative to purchasing a new engine and carry a warranty. 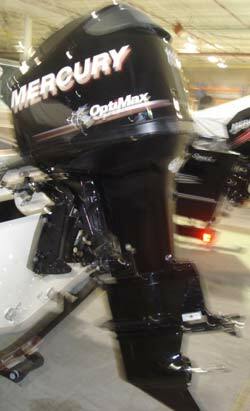 All new and used outboard motors on this page come directly from our supplier in Canada. *You are ordering directly from our canadian supplier. 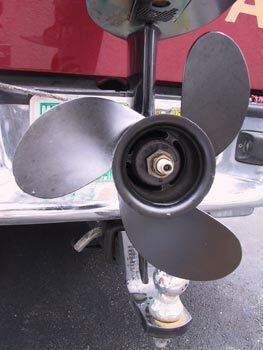 Fish Camp Motors Used One Season with warranty. ONLY 150 hours! 25" Shaft. ONLY 150 hours! 20" Shaft. *All New and Used Mercury motors come directly from a Mercury Dealer in Canada. Since you will be ordering from our supplier in Canada directly, your credit card company or bank may charge you a $50.00-100.00 Foreign Fee. Please confirm this with your bank. This charge is not coming from us. 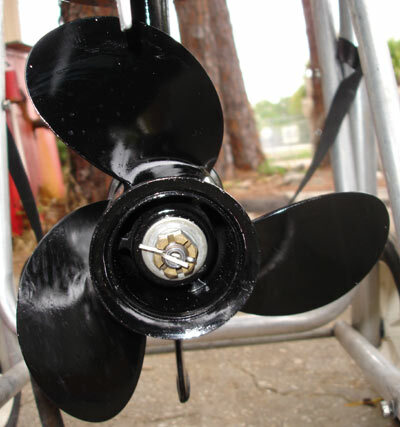 All used motors are in excellent condition and provide a viable alternative to purchasing new. We have a limited supply of each motor. CLICK HERE FOR THE MOST COMMONLY ASKED QUESTIONS SUCH AS SHIPPING AND PAYMENT. 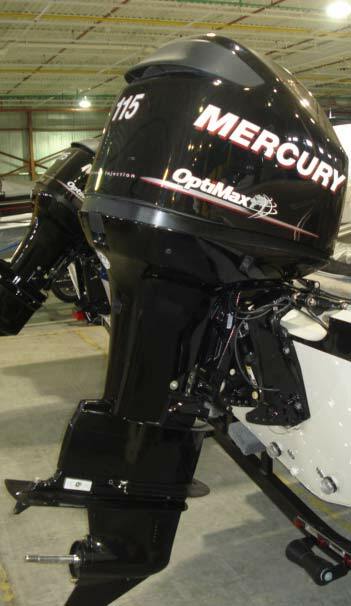 Warranties are provided by Mercury Marine or Associate Dealers, not AFA Marine, INC. 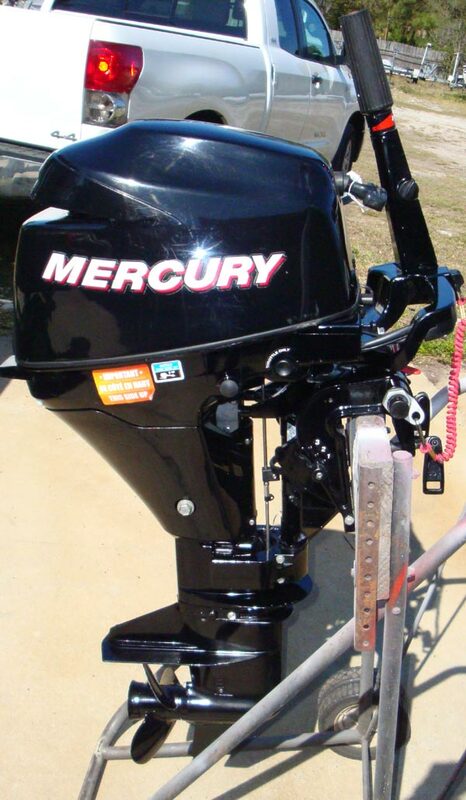 Visual Representation of Mercury "Fish Camp" Outboards! 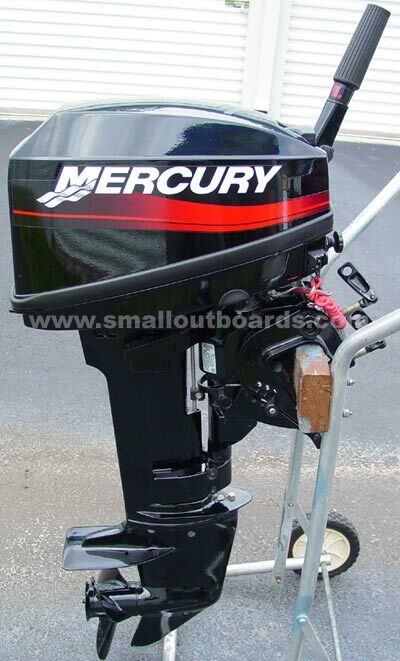 These Mercury Outboards engines are in excellent condition. They are like purchasing brand new motors at a discounted price. Shipping in Canada and The USA. 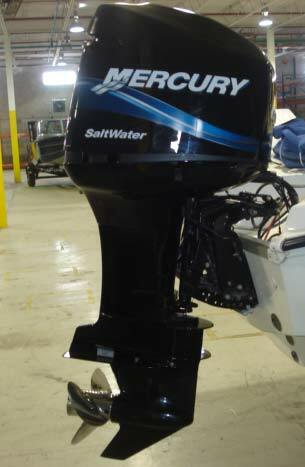 2009 Mercury 15 hp 4 stroke Fish Camp Sold To Local Customer. 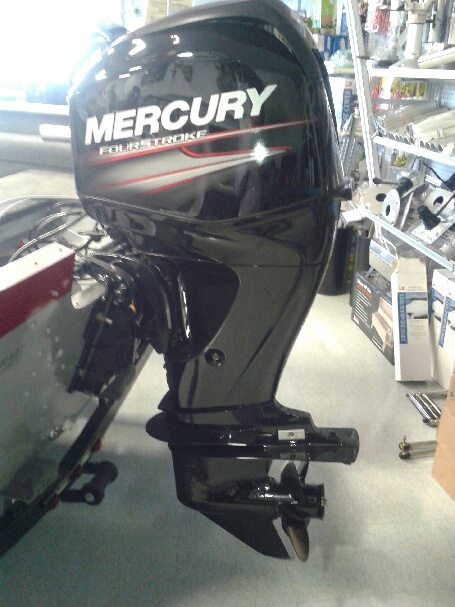 The 15 HP Mercury Fish Camp Program outboard arrived yesterday. My sons and I carted it home, unpacked and inspected the engine, and are astonished at its sterling condition. It is truly in "mint" condition just as you advertised, is certainly worth every dime of the price quoted, and shows virtually no signs of use or wear whatsoever. My thanks for your time and advice in purchasing this motor. 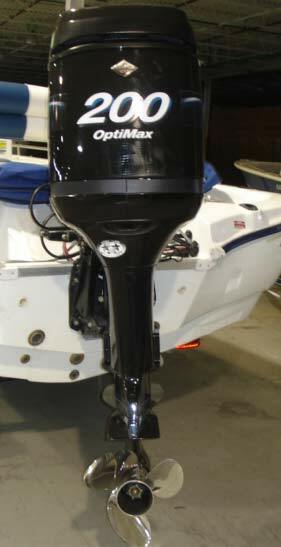 We look forward to weekend fishing in the Barnett Reservoir with this 99% new small outboard behind us. 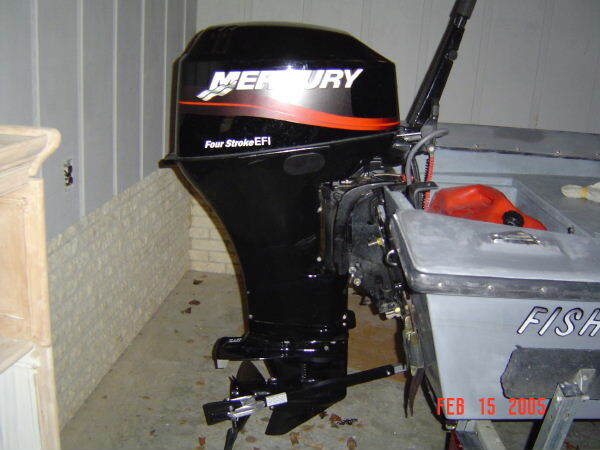 "Hi Al, I got a chance to take out the mercury 9.9 hp fish camp motor last weekend. I am really impressed with the mint condition and the pep it has. It made the 14'jon-boat cruise at a pace that got me there to the fishing hole quick. I thank you and it was a pleasure doing business with you! I highly recommend A.F.A." Checked it out completely on Christmas day '05 in my back yard ( Florida's Banana River). and kudos to Albert on a well organized website. I received my fish camp motor a couple weeks ago and put it on my inflatable this past weekend. Once I primed it and figured out the details on starting, it started on the first pull. Obtaining a quality motor was just the end result in a long search for me. The web site was a great source of information for me to learn what I needed. Your staff was wonderful in answering all my questions before and after the purchase. This will be the first place I go if I ever need another motor. 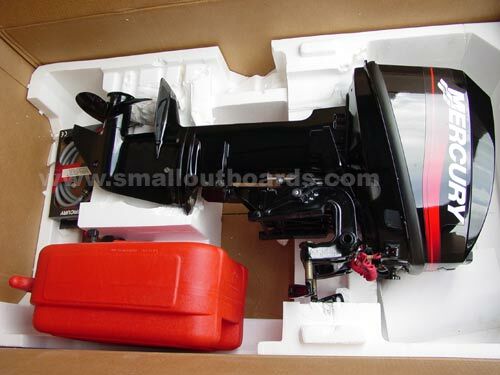 I just wanted to reiterate my satisfaction with the 25hp fish camp motor I purchased from you, it's basically a new motor, as clean as any showroom motor I've seen or purchased. Your prompt, pleasant, and knowledgable assistance is a rare commodity now a days and greatly appreciated. 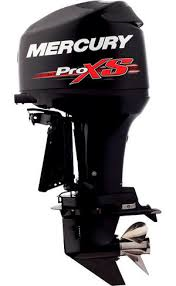 I have your website on my favorites list... just in case anyone asks about buying an outboard I'll know where to sent them. 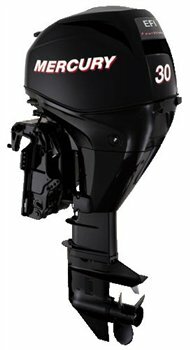 I just got my 2008 20hp 4 stroke (fish camp) today and put it on my boat. The motor runs good and is really quiet the motor was just like new. It started on the first pull and it was just as you described... Anyone who needs a outboard i'm going to send them your way.